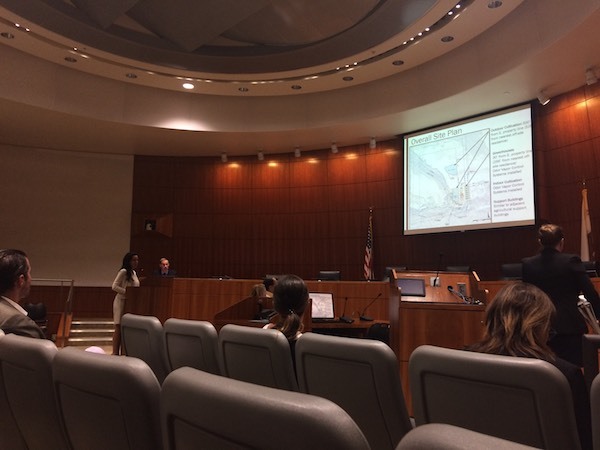 —The San Luis Obispo County Planning Development held a public hearing on Friday, Sept 21 at the County Government Center to discuss the approval of turning a 77-acre property in Templeton into a cannabis cultivation site. The property is located at on York Mountain Rd. in the agricultural Adelaide area. This is the first cannabis cultivation farming application up for a hearing. There will be no manufacturing, no sales or distribution are associated with the project, and no public access. Land use permits are only valid for 5 years. Applicants Jim McAllister and Laura Gardner were approved for a minor use permit that would allow for both indoor and outdoor cannabis cultivation of the 77-acre project site located off Hwy 46 in Templeton, designated for agricultural land use. The operation will have 3.5 acres of outdoor cultivation and 22,000 sq ft. of indoor cultivation. Previously, the area had been farmed with hay, peas, vines squash and cattle. The cannabis farming will replace high impact ranching and farming like disking, grazing, spraying, and ripping. Cannabis is a low impact crop which requires natural light and will be hand cared for and watered. The property has vegetation and surrounding topography which will provide a screen for the area from the Hwy. The proposed cultivation area lays at the South East side of the property, and all plans comply with all cannabis provisions for fencing setbacks, odor and water management. For odors, the project intends on using the AirStreme odor control system, which is designed for cannabis greenhouses and uses vapor technology. The crop is projected to use 3.56 acre-ft of water per year which is less water than vineyards and vegetables, and an existing onsite well provides sufficient water. Traffic impact is similar to compared current agricultural activity, 6-8 full-time staff and 4 seasonal part-time, existing residence on site. The security plan submitted for the Sheriff’s Dept. for review, includes 8 ft secure fencing around cultivation areas with gated entrances, cameras, security staff, restricted access, strict monitoring and compliance requirements as required by state and county law enforcement. The designated full-time employee for security administers the security system checking in employees, verifying alarms are activated, and a third party company will use an alarm system to notify the police for extra security.